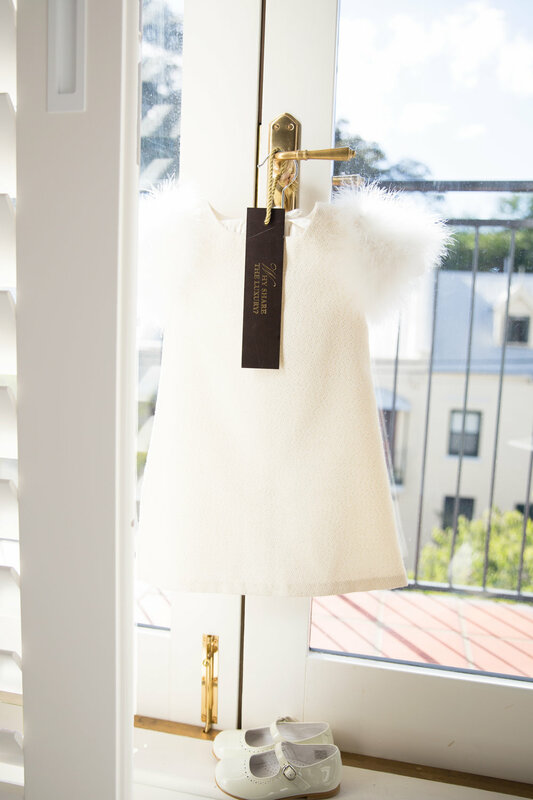 House of Emmerson are thrilled to have partnered with The Langham Sydney to invite the beautiful Kristin Barnes from Kristin Fisher Eyebrows and her gorgeous four year old daughter Lila to spend a day at The Langham in celebration of Mother's Day - and no one quite does Mother's Day like The Langham Sydney! Arriving in style Kristin and Lila were chauffeured to The Langham in the iconic Pink Taxi ready for a day of indulgence..
Our Mother's Day Pink Afternoon Tea is served and we can ensure you it tastes just as delicious as it looks. Sweet items include everything from pomegranate marshmallows, wild strawberry and vanilla creme cones, rosewater lamingtons to white chocolate and rosella bonbons and more. This of course is accompanied by scones with jam and cream. 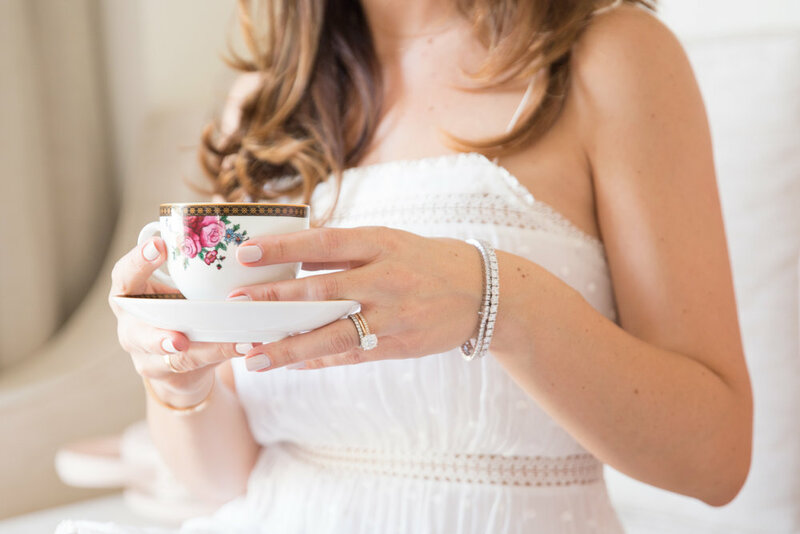 Over the most delicious Pink Afternoon Tea we asked Kristin a few questions about her children, her work and what she loves about Motherhood. You are the mother of two beautiful children; daughter Lila and son Eddie.. What has been the most rewarding part of Motherhood thus far? Watching my children grow into the smart, beautiful, funny and compassionate little beings they are today. How and when was Kristin Fisher eyebrows born? Did you always have a passion for beauty? Kristin Fisher Eyebrows was born in 2010 after I moved to Sydney from Perth. My dad was very dubious as he didn't believe a business could be dedicated to eyebrows and only brows.. Boy was he wrong! I certainly have always had a passion for beauty! I used to take my tweezers to school in my dress pocket and tweeze my friends brows/legs/arms anything! Ha ha. How do you juggle work and motherhood? Are you able to find balance? My husband and I haven't got any family support in Sydney so we share the load ourselves along with daycare. I have an amazing team of girls working for me at Kristin Fisher Eyebrows and not only do they help me with the kids - they take over and run the show if I have time off with family for whatever reason. I have found a great work life balance and am feeling really content and proud of where I am today as a mother as well as a businesswoman. I still get a lot of 'me time' which I think is really important and is vital when running a business and being a mother of young children in todays busy world. What is the best surprise about Motherhood? The feeling of your heart swelling daily when you see your children master something new. The joy and satisfaction it brings them is so rewarding! Do you have anything special you love to do with Lila? A Mother/Daughter tradition? We love having our nails painted at the salon together. What is a value or lesson you want to install in your children? To show compassion and to be kind to everyone. And to wear SPF every single day!!! Your life mantra/motto? Believe in yourself and anything is possible. After a decadent Afternoon Tea it is time for Kristin and Lila to relax, get changed into their new Pyjamas and watch a movie! The Langham Sydney have laid out a gorgeous welcome pack for Lila inclusive of a children's sized dressing gown and slippers, a yummy chocolate freckle and a badge - the Langham Hotel Sydney really do think and cater for everyone in the family! We know how much you have loved our Petite Plume Winter Pyjamas so are very excited to offer for a limited edition of Adult Pink Gingham Pyjamas that you can match with your little one this Mother's Day! Shop our Adult Pink Gingham Pyjama Set and match with your mini this Winter. Limited stock available - so get in quick. 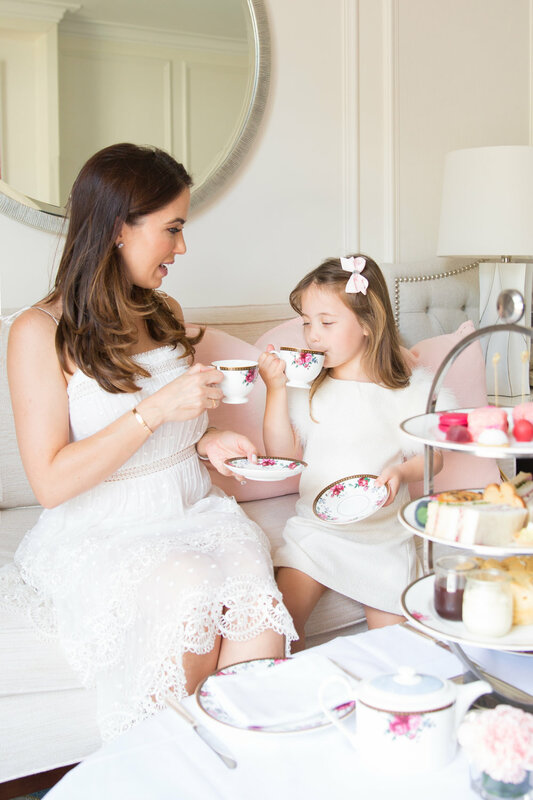 Mother's Day celebrations at The Langham Sydney begin on Saturday 12th of May with the Pink Afternoon Tea that will run all weekend. Seating is from 12:00pm to 5:00pm. Pink Afternoon Tea is $95.00 per adult and children aged 4-12 dine for $45.00 each.Children under the age of 4 dine for free. Bookings for Mother's Day Launch and Afternoon Tea can be made by contacting tlsyd.rsvn@langhamhotels.com or by calling directly on 02 9256 2222.